First 8 Studios ™ at WGBH researches and develops mobile experiences to support the healthy growth of children from birth through age 8. Engage in the excitement of early science learning with your preschoolers! Explore the 6 science learning apps and dozens of hands-on activities. Use the digital Teacher's Guide to implement the technology-based science curriculum into preschool classrooms. 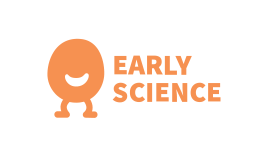 Early Science with Nico & Nor™ is a science curriculum based on the Next Generation Preschool Science research project funded by the National Science Foundation. 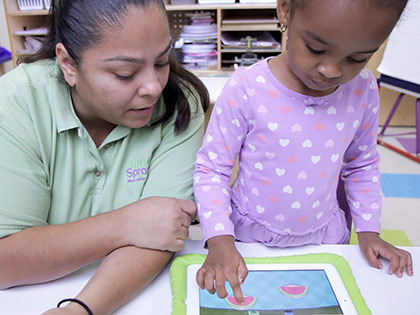 The apps and activities were designed and tested for preschool classroom use. Share the joy of early math learning with your preschoolers! Play the 9 math learning apps and dozens of hands-on activities at home or in the classroom. A digital Teacher's Guide supports use in the classroom, and a digital Family Fun Guide provides activities to do at home. 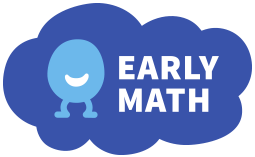 Early Math with Gracie & Friends™ is a math curriculum supplement based on research projects funded by the National Science Foundation and the Heising-Simons Foundation. The full suite includes apps and activities that were designed and tested for preschool classroom and home use. WGBH is a children's educational media pioneer. First 8 Studios carries this spirit into today's mobile world. Gold-standard research and iterative prototype development and testing with our partners serves as the foundation for our work. We partner with learning scientists at the Center for Children and Technology at EDC and SRI International to infuse our products with research. They are learning language. They are learning sharing. They have to learn to work together. It's opened up so much for them. I can’t even express how amazing this program is. As a teacher, I would recommend it to anyone. I mean, this has changed me. This has changed my kids. Sign up for updates from First 8 Studios at WGBH. We’ll never share your email with others. The First 8 Studios @ WGBH Web site was produced by WGBH Digital in Boston. This Web site includes materials based upon work supported by the National Science Foundation under Grant No. DRL-1119118 and Grant No. DRL-1316550. Its contents are solely the responsibility of the authors and do not necessarily represent the official views of NSF. Additional funding support generously provided by the Heising-Simons Foundation.